Our sacred Tarawera Maunga is a unique mountain steeped in history located just out of Rotorua. Mount Tarawera is such a special place, it’s an unmissable part of any NZ itinerary – here are 10 reasons why. Early one morning in 1886, the locals were woken up by more than 30 earthquakes. Mount Tarawera was rumbling, and it soon erupted with enormous power. The explosion was heard across the country, and ash rained down from the sky as far away as Christchurch! A few days before the eruption, a local guide and her European tour group reported that they saw a mysterious waka (canoe) paddled by an unknown Maori chief in traditional dress, upon Lake Tarawera. It is said that this was an omen of the great disaster about to strike. Living in New Zealand, grew up hearing stories all about the Pink and White Terraces. They were a hillside of pink and white (of course) silica banks. From all over the world, people came to see them (and swim in them!) Sadly the terraces, and villages nearby, were buried under layers of ash and earth in the eruption. 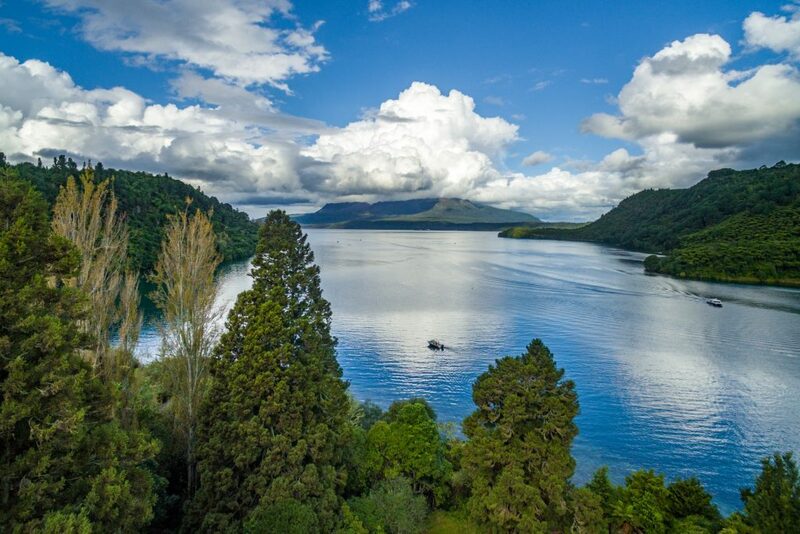 Lake Tarawera is surrounded by native bush and sits at the base of the mountain. Its not only the very top that will knock your socks off with the views – the whole walk up is pretty amazing. You can often see all the way out to the East coast, where the Pacific Ocean forms a backdrop for red volcanic rocks and lush green (bird-filled) bush. 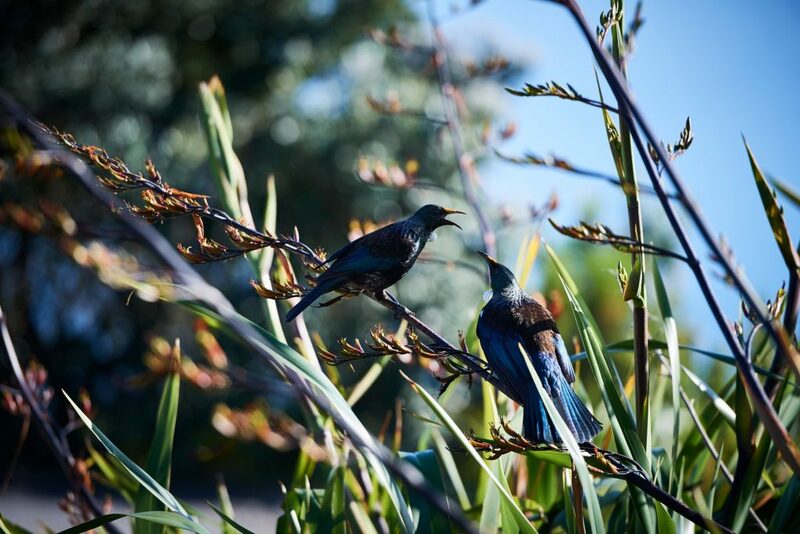 New Zealand loves birds, and birds love New Zealand! They fill our forests with a beautiful chorus, at dawn and in to the night as the ruru wake up (our own little owl). You’ll no doubt hear a tui, fantail or bellbird chatting away as you climb. Climbing Mount Tarawera is no walk in the park. The volcanic landscape is rocky, and there are good gains in elevation. We reckon you’ll be scrambling rock faces, and scree running like a pro by the end of the day – the exertion is most definitely worth it! 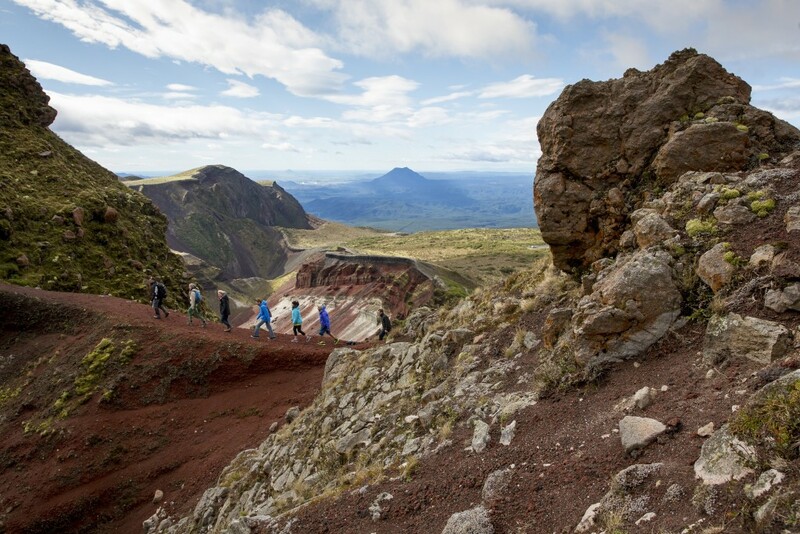 Mount Tarawera is covered in some unique rocks – you can run, slide and almost ski along it. Of course you’ll probably have to empty your shoes after! Mount Tarawera feels a bit off the beaten track – there are no crowds, and no public transport to get you there. We can solve that problem with an easy 4WD ride (we won’t lie, it’s a bit wild and bumpy but we know you’re keen for an adventure!). The terrain is rugged but the air is fresh – this is a peaceful place to be! Kiwis from all different backgrounds like to get out and be among nature. It is how we connect with each other, and with the land. Only Kaitiaki Adventures has permission from the local iwi to climb to the very top of the mountain, and we want to bring you along to share it’s history, and the fresh mountain air.